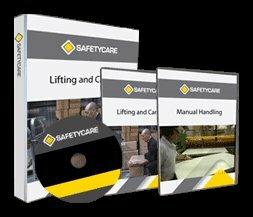 Workplace Safety Blog | Safetycare | Safety Training Videos | Free Safety Pictures and Resources: Working at Heights shocker! Given the work practice here, coupled with the windy conditions, the wind could have easily taken hold of the sheet metal and pulled the man of the top of the building. The improvised vice-grip device could have also given way, sending the sheet down to the man below.